Many of our clients plan events from time to time and it is good to know how to utilise all our means of communication to get the word out there when they do. One of the priorities when organising events is getting the mix between balancing time and the exposure you achieve that time, right. Facebook has become one of the most important tools of the trade in this area and we have created a number of tips so you can aid your event with the power of social media marketing. Out with the old and in with the new, that’s the only way to keep ahead in the events management game and Facebook is a central tool in this. Using Facebooktobrowse through profiles and pages makes it a lot easier to come up with ‘innovative’ ideas and new visions for your events or business that will look good and also save on time. Planning updates are of premium importance in events management and a closed Facebook group allows for easy and yet private collaboration between a group of people. This means you don’t have to shoot emails back and forth and it is a far more collaborative and open environment. Share ideas, delegate tasks and sell tickets through Facebook, you ca even look for sponsors and do post marketing analysis on the social media platform. Link it up with Twitter and host talks and chats before events. This allows you to really interact with your audience and organise a great event very easily. You can also share real time updates, post photos or video and stream the event easily online and through social networks, a great advertising option. If you’ve got an event going on you’ll need caterers, photographers and an array of other professionals. Look at their profiles for information and keep an eye out for bad feedback or unsatisfied customers – the social web offers amazing opportunities for transparency, utilise them. Increasing numbers can be easily done through Facebook. You can set up Evenbrite to allow purchases to be shared on Facebook. This is a great way to increase the notice for your event and can be utilised as a very powerful tool. Even smarter again, developing special offers for those that share with their friends in the same manner as group buying sites do, through linking to others profiles can mean huge exposure and an increase in sales of tickets. If you are fortunate enough to have sponsors at your event then use Facebook as a carrot. Team it up with the above sharing idea for maximum interest. Sponsors will love the idea of being plastered around every social media page in an area or for a certain industry – use your loaf here. •All you have to do to increase sponsor exposure is tag updates with their names. •Post video with sponsor’s representatives at the event, share their updates on your page. Following these guidelines should see a rapid increase in the willingness of orgainisations to sponsor your event and all it takes is a little social media marketing knowledge. We hope you found our tips useful. 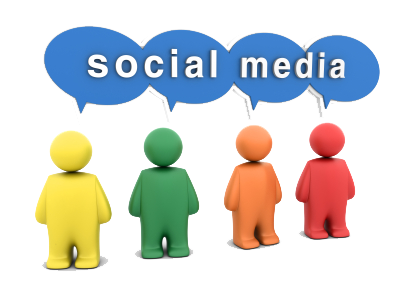 We would be interested to hear of any examples of successful events which utilize social media. Please let us know via the comments section.